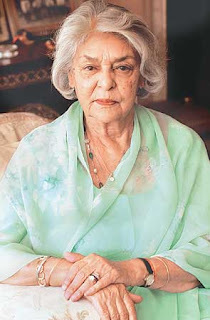 She wrote the book A Princess Remembers: The Memoirs of the Maharani of Jaipur. I admit that I haven't read it yet, but it's on my shelf. I really like her. Very beautiful, elegant and well-spoken. She's one of those people who always looks good in everything, never spills food on herself and always knows exactly what to say. She exudes charisma and self-confidence. And she's gorgeous. 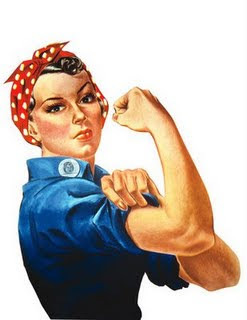 She is a celebrity herself, but to compare her to someone possibly easier to recognize- I'd say she's like Jackie O. Well, she was beautiful, intelligent, politically savvy and forward-thinking. Plus, she was royalty. That's a pretty hard combination to beat. 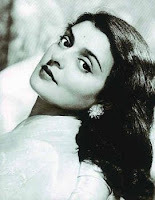 I think Gayatri Devi used her power and charisma for good. She grew up very wealthy and very privileged, but when she ran for political office, she made a big effort to help the poor. When she was younger, she spent a lot of time hunting and endangering the Indian tiger population, and then she just stopped and proceeded to spend her time working towards conservation. She became the Maharaja of Jaipur's third wife and entered into the very secluded purdah life, even though she was so independent. Her life was full of social engagements, and she worked very hard for reform, to give young Indian girls the chance to make something of themselves. She was well-dressed and beautiful and cultured, but she could lose her temper and be very stubborn. She spent five months in prison on possibly trumped-up charges for tax evasion during Indira Gandhi's stint as Prime Minister. Really, she was fascinating. Thank u so much for reminding me to re read A Princess Remembers. I loved it. I had got it as a b'day gift when I turned 15 and read it straight in 3 days. You are right she was elegance personified and gorgeous. I have an award for you, by the way. I hadn't heard of her either, but she does sound fascinating! She sounds like a really impressive woman! I hope you get a chance to read the book soon. From the way you feel about her it seems like it will probably be a great read for you! Shona- I am glad you will re-read it! Maybe I'll read it with you. Carol- Thank you so much for the award. That's really thoughtful of you. And it doesn't feel like we just recently "met," but that we've known each other so long! Now that sounds wonderful. Not a character or a book I know, but I am definitely going to investigate. And if you ever have another break in the line-up do call. I have a particular lady whispering in my ear. This is such a great concept! 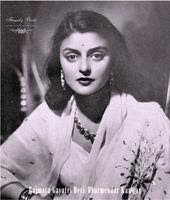 I think she also features in Maharanis by Lucy Moore. Such a beautiful and interesting woman.